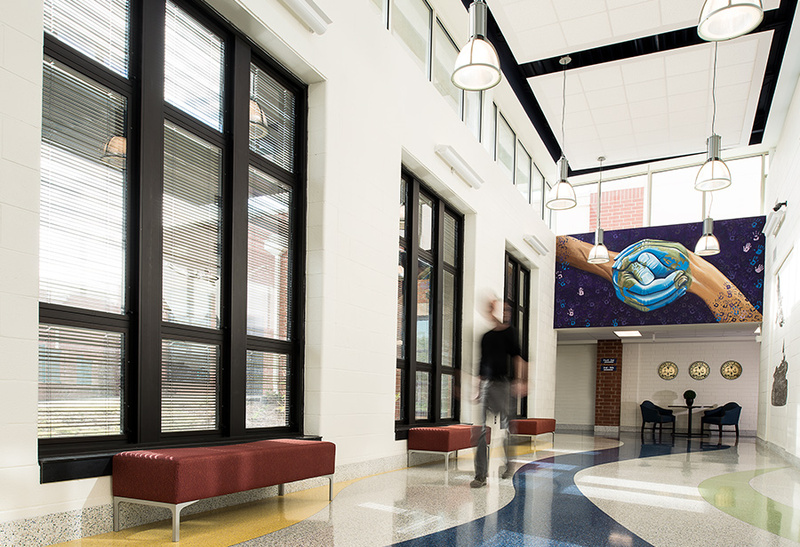 KSQ’s addition to Crowders Creek Elementary School creates a sense of identity for the school community with a dramatic entrance for parents and students, while also creating much-needed classroom space and providing a new centralized space for administrative functions. Located in Clover School District in Clover, South Carolina, the PK-5th elementary school serves 1,200 students. The school offers a variety of specialized clubs and programs to enhance student learning, including LEGO Robotics, Girls on the Run, a recycling club and a news team. The design establishes a prominent front door to the original school building with easy access for parents visiting the new administrative area. The centralized administrative space has reception, a central nursing office for two school nurses, record storage, a conference room, and work areas for the principal, three assistant principals, and administrative support. 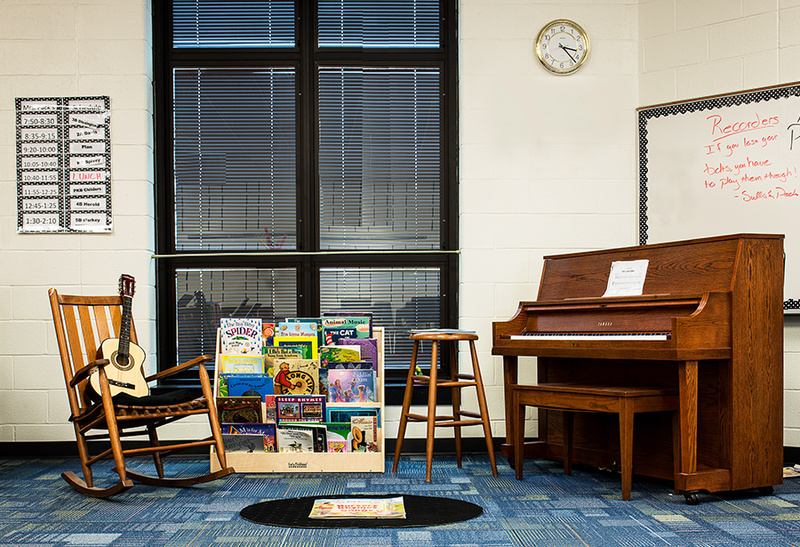 The new area allows the school to provide small classroom space for special training, exceptional children, and guidance counseling services that previously occupied full classrooms. The programming and relocation of the administrative functions saved the District over $1.5 million. The new addition not only enhances the functionality of the building, but also brings in natural light and vibrant energy to the school. 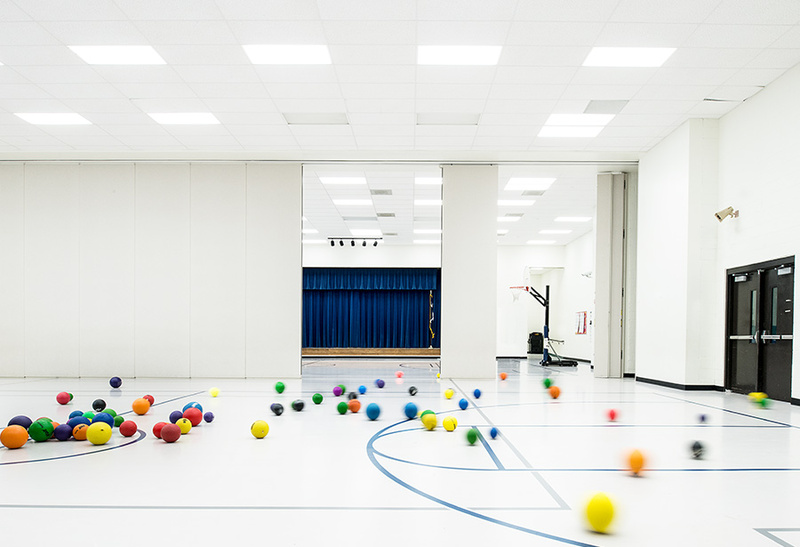 The project also entailed updating life safety systems, storm water detention to comply with current regulations, new flooring in the multipurpose room, and the addition of 35 parking spaces for visitors.